Can you believe that Ash Wednesday and Valentine’s Day fall on the same exact date this year – February 14? And can you believe that Easter Sunday is April Fool’s Day? Just whose sick sense of timing is responsible for these calendar conundrums? Not just one day of religious observation running head on into a collision with a “big day” in the secular culture, but two? What’s a good Catholic to do? Well, first of all, no one is responsible for these regrettable or humorous (depending on your point of view) coincidences. The overlaps are just that – coincidences. And, what is a good Catholic to do? That’s a good question, especially if he or she is married or has a serious romantic interest. A St. Valentine’s Eve/Mardi Gras dinner at a cozy little spot on February 13 might be fun! A bouquet of roses and a fast-day dinner could be another novel way of observing both St. Valentine’s Day and Ash Wednesday at the same time. Whatever the solution you come up with, I’m sure that Valentine’s Day 2018 is one that you will not soon forget. But let’s return to Ash Wednesday and Lent for a moment. So many of us associate Lent with deprivation, and rightfully so. We “give up” something. And why? Do we do so for the sake of self-improvement? Are our Lenten resolutions a part of some ambitious program of Christian behavior modification? Not really, although we are often tempted to think so. If Lenten resolutions were simply about self-improvement and behavior modification, then how would they differ from New Year’s resolutions? In fact, they really wouldn’t. No, our Lenten resolutions are far less about improving ourselves than they are about being transformed in Christ – and by Christ. They’re all about falling in love with Christ and then being transformed in the process. We’re not pulling ourselves up by our own bootstraps, by our own Herculean effort. What is actually happening is that we are falling in love with Jesus, who makes the unendurable endurable and the impossible possible. Think of how human loves transforms us. We make sacrifices for our loved ones that we would probably never make on our own. How much more so, then, can it be when we fall in love with Christ? “You make me want to be a better man.” If we are in love with Christ, couldn’t we say the same to Him? Like Melvin, we don’t always get it right. Like Melvin, we can fall pretty far off the mark. But, at the end of the day, Christ makes me want to be a better man. That’s what Lent is really all about. 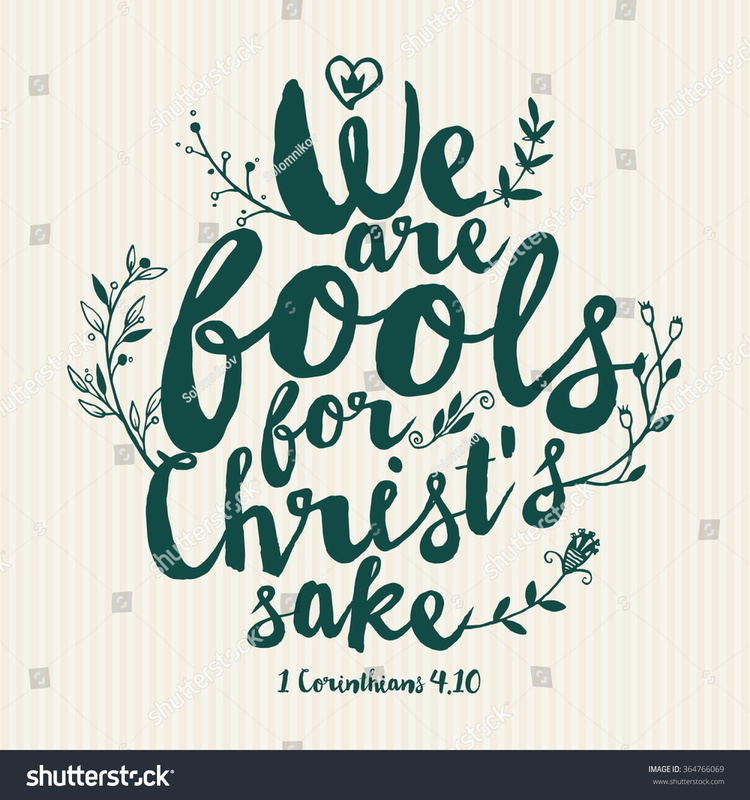 And if this hope, this belief, makes us “fools for Christ,” so be it. We wear that badge with honor! After all, love makes fools of us all.